I’ve been writing down monthly goals to help me focus in on what is important. Many of the things listed are daily habits I’m seeking to maintain or grow in. The goal is not to obtain perfection, but to make steady progress…and months when there isn’t any progress, to give myself grace and start again the next month. That is my hope for you too as you strive to implement daily/weekly/monthly habits. Some of the links in this post may be affiliate links. This means, at no additional cost to you, I may earn a small commission if you choose to make a purchase. Thank you for your support in this way! May was a difficult month in terms of sticking to the routines I have established. I realized how fragile my habits are when my schedule changes in the slightest. I went on a trip at the end of April/beginning of May and that threw off several habits: budgeting, meal planning, sleeping, and monitoring my habits on paper. When I got home, it was so hard for me to get back into the normal daily and weekly rhythm. By May 8, I will have the room taped and prepped. By May 15, I will have the edging done in the room. By May 22, I will have the walls painted. By May 29, I will paint the trim. I was actually done with goal in the middle of the month. One of the things I’m learning about getting started with projects or habits is that starting is the hardest part. 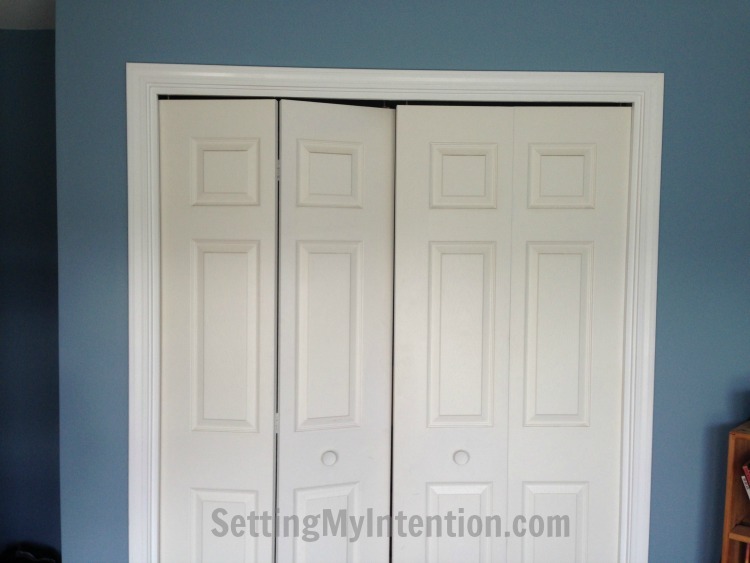 You can tell we haven’t done the closet doors – I should have added that as a final step! 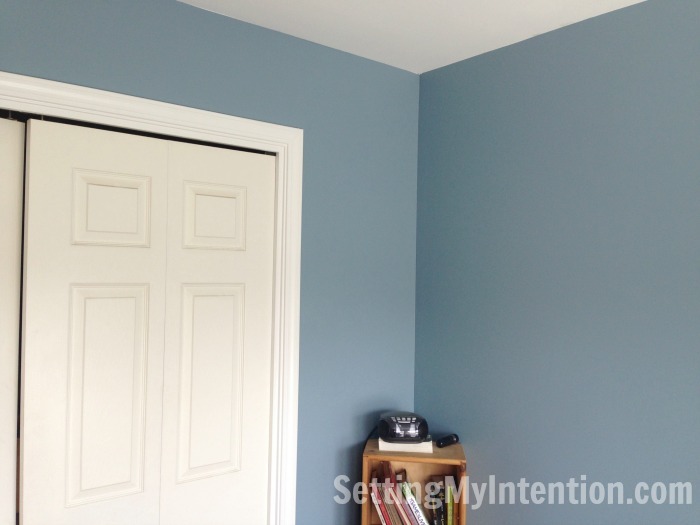 When I finished edging the room, both my husband and I thought the color was going to be too dark. I decided to do one wall to see if I liked it. This room gets a ton of sunlight so the color doesn’t overwhelm the room. With the trim painted a bright white, it looks really nice. I love how the color changes with the different amount of light. My trip to the Grand Canyon with my sisters and my mom. The rain. I planted a vegetable garden in early May and the consistent rain has been a blessing. I haven’t had to water on a daily basis. Take at least 3 slow, deep breaths in the morning. Silent prayer and meditation. Intentional movement 5 days of the week (running at least 2 of those days). Work at least 15 minutes in the basement with hubby. Budget and track daily expenses using the free EveryDollar app. Continue with a blogging editorial calendar for the month! The Elite Blog Academy has been super helpful in helping organize all my ideas so that my editorial calendar is a cinch to plan. Want a FREE monthly habit tracker? Sign up below! What are some goals that you have for June? 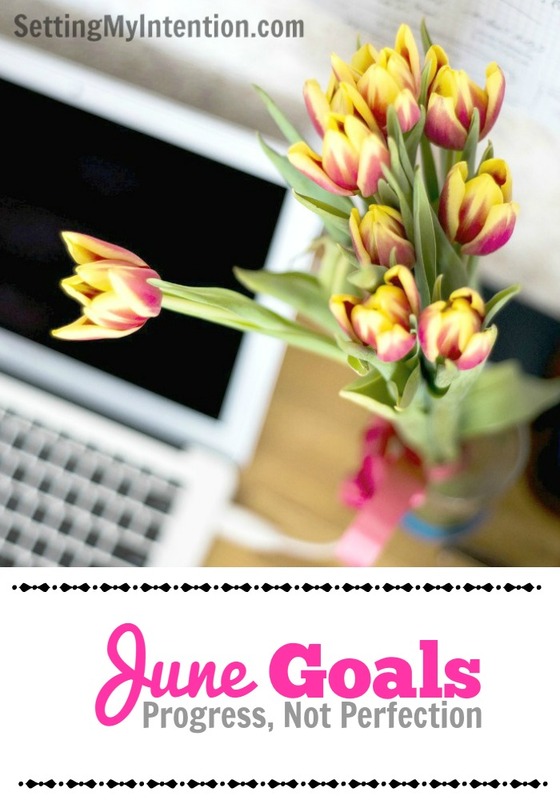 Some of my goals for June is to grow my blog, learn how to write better content for the blog, and check off some of the items I have on my bucket list! Those are great goals Kelsea! 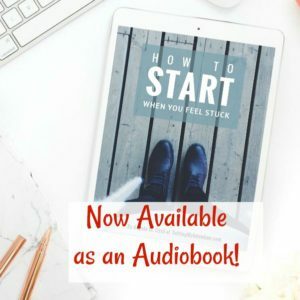 “Starting is the hardest part.” YES. Why is that? Projects seem so big and intimidating until you get going. Here’s to being better about just jumping in and getting started. I’m trying to make efforts in maintaining versus starting over again on my habits. It’s trickier with projects because projects definitely have a start and end time. Setting SMART goals for projects is going to be key for starting! I so totally agree that getting started on a project is the hardest part. I sometimes force myself to just start, and it’s usually downhill from there. Great idea breaking up your bigger goal into smaller pieces! Thanks Jamie! Sometimes it’s so hard to force yourself isn’t it? I think breaking it into smaller pieces definitely helps. Great goals! I often try to set goals, but rarely complete them on time, in order or at all, LOL! Hi Echo! My motto is always progress, not perfection. Starting is never my problem – it’s consistency. I’ll do it one month and not the next. If I can just keep it up it becomes a habit, and then easier to acheive. I just have to remember the grace bit when I stumble. Although that is still a balance between accountability and being forgiving to myself! That’s really true about the balance between accountability and being forgiving, Shelly. I find making my goals small helps me keep it up until it eventually becomes a habit. Thanks for sharing! 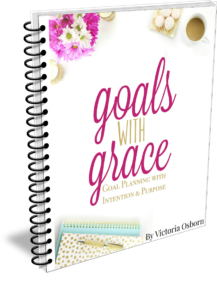 I’m going to start publishing my goals for the month as well. I’m actually more excited to do this than daunted. I think I always thought it’d just be daunting to do. But, when I keep things simpler, then I’m freer and most likely I’ll be more successful and less scattered! Thanks for posting your goals. Also, one thing I really want to do is to be undistracted with the littles more often! Hi Kendall – I agree with your one thing. I too want to be less distracted with my little and bigs!